Hello friends and BoBunny fans! 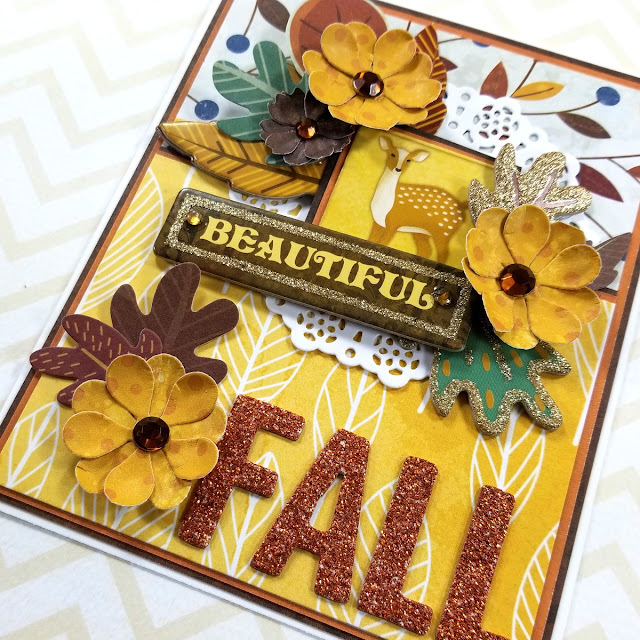 Ginny here to share a some fall inspiration. Here in mid Michigan we are seeing the temps drop and the leaves changing to their autumnal glory. Now if only that didn't mean winter was getting closer lol. I love the warm rich colors of this collection. It's just so cozy!!!! I had myself a good ol time creating flowers from the patterned papers. I know they coordinate perfectly and I can make as many of each size as I like. And I like a lot!!! 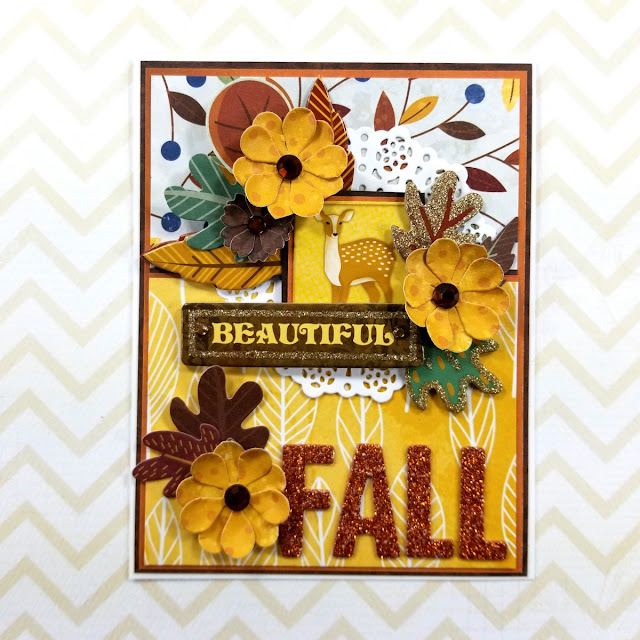 You can use any type of flowers die you have on hand for this or simply draw out a template and trace around and cut them out by hand. 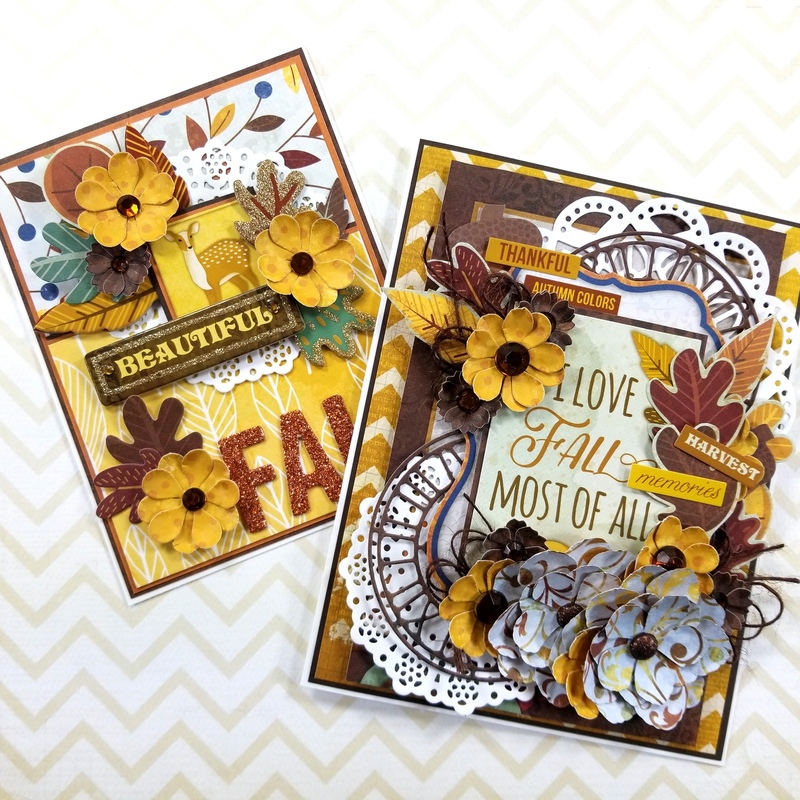 Adding double layer of die cuts helps to anchor the sentiment and break up the busy paper patterns. I used a combination of the brads from the collection and Double Dot Jewels to finish the inside of the flowers. Adding a bit of twine in the form of loopy bows fills in the arrangement and softens the corners. I always like to balance a larger arrangement with a smaller one on the opposite corner. This gives me the opportunity to include additional elements like the Layered Chipboard Stickers and Noteworthy die cuts. Once I had the collection on my desk there was no stopping me and I created another card. There's a big bold sentiment created with the Thickers spelling out the season. 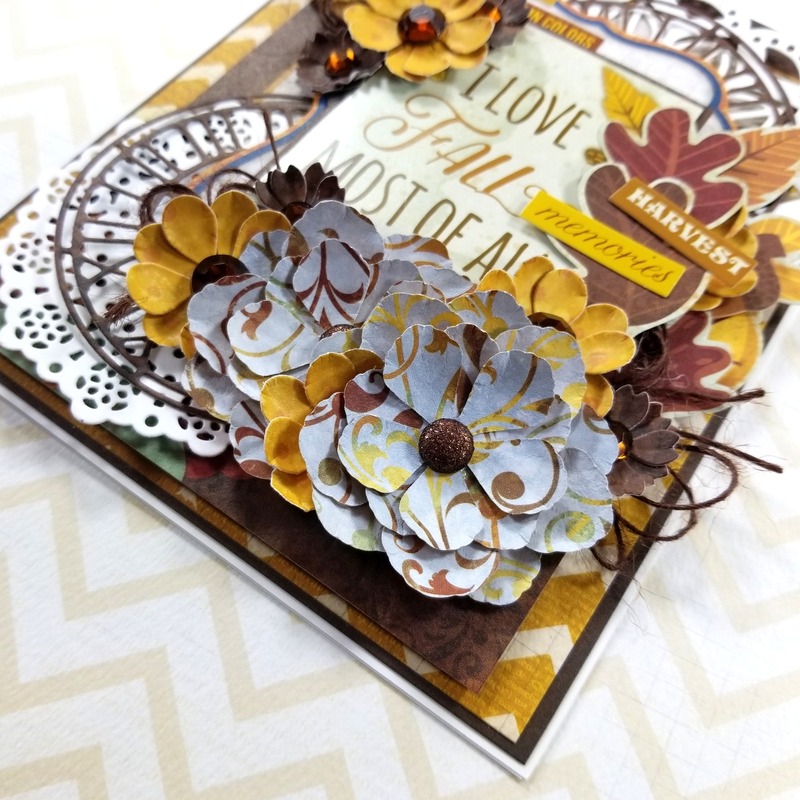 I really layered on the elements here including the Combo Stickers, Layered Chipboard, and Noteworthy Diecuts. A sweet and simple doily cut in crisp white is the perfect finishing touch.